What we recommend, is a site survey and management plan, which identifies where you have Japanese Knotweed and how it will be treated to remove this invasive weed. The site survey will provide you with details of the plant, and is also official documentation, which you can provide to mortgage lenders to let them know you are dealing with the situation. The management plan is based off the survey report and is a cost break down of the price for the treatments. Our PCA qualifed surveyor will identify all Japanese Knotweed and will mark these on a plan of the site. There are a number of different treatment options available, to suit the site and your requirements. This all ensures that your Japanese knotweed issue is eradicated fully from your garden or site. For further information about the treatment options available please see our ‘Treatment Services’ page. Do you need Japanese Knotweed removal in Hounslow? If so, Japanese Knotweed Expert is the company for you! Give us a call on 0208 917 044 to arrange for your survey and management plan now! Do you need some advice about Japanese Knotweed? Why not visit our ‘Frequently Asked Questions’? Can’t see the answer, please give us a call and one of our friendly office staff will be happy to help. 2. Excavation: we fully remove the plant and its root, as well as the contaminated soil and dispose of it off site. 3. 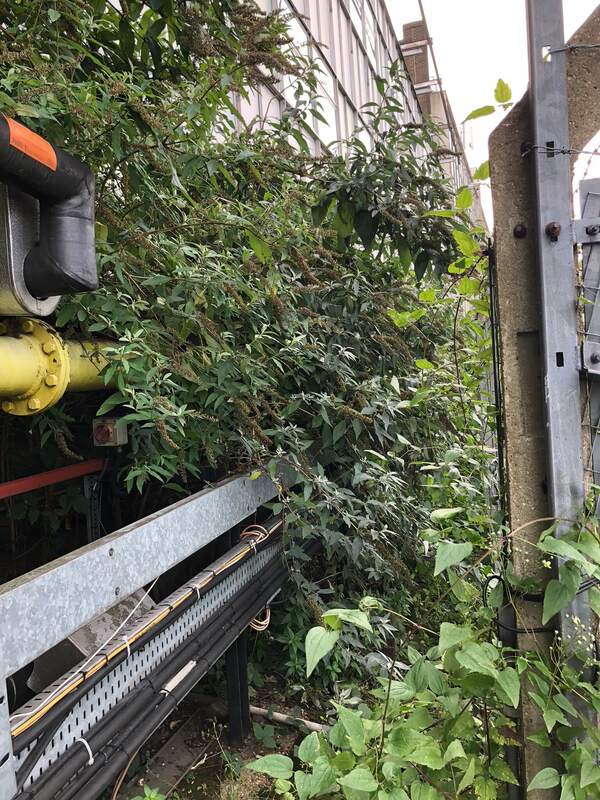 Temporary bund: we remove the Japanese Knotweed from one place and place it in another, and carry out treatments on the remaining Japanese Knotweed. To read more about our treatment services click here. The most common method of treatment is Herbicide treatment, however the method used will depend on the site and any other factors. 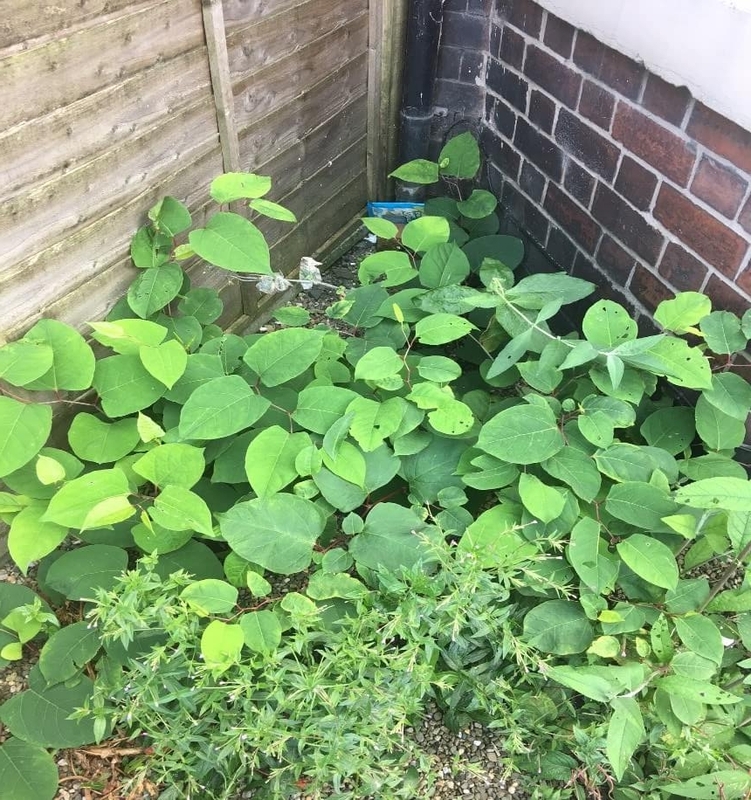 If you need Japanese Knotweed removal in Kingston upon Thames, to stop it growing on your land, please do not hesitate to be in touch on 0208 1917 044 for your survey and management plan now! Alternatively complete our online contact form or message us on Facebook. The best time to spot Japanese Knotweed, is during mid-summer/early autumn. As the plant blooms in late summer with creamy white flowers, that are approximately 0.5cm wide – they also grow up to 10cm during this time. Therefore the removal of Japanese knotweed in Havering or anywhere in the UK is vitally important to stop this invasive weed spreading. The Knotweed may grow that excessively, that it could grow through walls, concrete and tarmac. This will devalue your house by up to 50%, which means that you may have to sell your house for less than what it is worth! Japanese Knotweed could make buying, selling and mortgaging your property a nightmare. That is where we can help. It will save you a considerable amount of money, sorting your Japanese Knotweed problem out before selling your property. Removal of Japanese Knotweed in Havering is problem that has arisen and is becoming a common issue throughout the UK. However, it may be a nightmare, invasive weed, but it can be treated and removed. Japanese Knotweed Expert Ltd, can help to remediate any Japanese Knotweed that is found on your properties garden or land. There are a number of options for treating it, please see our ‘Treatment Services’ page for further details. So, if you are considering selling your house but need help with the removal of Japanese Knotweed in Havering or surrounding areas, get in contact with us now on 0800 1337 444. Our friendly team will be happy to answer your questions, give you advice or book you in for a site survey. To see what our clients say about us at Japanese Knotweed Expert, click here. Japanese Knotweed was initially introduced to the UK as an ornamental plant by the Victorians, due to its picturesque qualities. However, the Victorians did not realise that without the natural insects, which feed off the Knotweed in its native country, keeping it at bay, the weed would cause damage to structures and buildings. This natural insect control measure is not present in the UK. Japanese Knotweed roots can grow up to 7m in radius and the roots themselves can cause destruction unfathomable by a simple plant. If you were to build upon land which has Japanese Knotweed on, the building is sure to collapse over time due to the unstable base the roots will penetrate. By simply having Japanese Knotweed on your land, you are susceptible to your property value being devalued significantly. With some extreme cases resulting in devaluation by 50%. It is not illegal to have Japanese Knotweed on your land, but it is illegal to allow it to spread to neighbouring land. At that point, you are liable to pay for the neighbour’s treatment and the amount of devaluation. If you have any questions about the removal of Japanese Knotweed in Lewisham or need some advice, please do not hesitate to contact us on 0208 1917 044! Do you need help with the removal of Japanese Knotweed in Harrow? Japanese Knotweed can grow through tarmac, concrete and even paving slabs – think you don’t have a problem? Think again! You only need 0.7g of the invasive weed’s roots to promote more growth, and therefore treatment of Japanese Knotweed needs to be thorough and efficient. This invasive weed can grow rapidly causing the aforementioned damage to you property or grounds. Therefore it is important to ensure the removal of Japanese Knotweed in Harrow or any other part of the UK. With a 100% success rate, we can guarantee to eradicate your knotweed. Our PCA qualified surveyor would initially visit the site to assess the Japanese knotweed. From this a management plan and treatment schedule would be compiled. Depending on the site will depend on the treatment of the Japanese Knotweed. However the most common is herbicide treatment, to learn more about the various treatment services on offer, click here. We also offer a 10-year insurance backed guarantee to ensure that your knotweed will be treated completely. On top of this, we also offer a 10-year company guarantee, which means that we will deal with your knotweed for as long as needed! Do you need the removal of Japanese knotweed in Harrow? Get in touch on 0208 1917 044 for your site survey and management plan now! Japanese Knotweed Expert will be happy to assist in removing this invasive weed. Why not follow us on Twitter to stay up to date with all the latest news from Japanese Knotweed Expert? A builder in Merton faced possible imprisonment or a fine after being wrongly accused of disposing Japanese knotweed. This is how seriously it is taken if you wrongly dispose of Japanese Knotweed in Merton. It can be extremely complex, time consuming and have some serious environmental and legal implications. Quite often the job looks a lot smaller than it really is, it could cover several metres underground. If you don’t dispose of it properly or leave even the smallest rhizome, it will grow back. For this reason we have planned the disposal of Japanese Knotweed carefully to ensure that it corresponds with all the environmental legislation’s. It also ensures that your Japanese Knotweed will not grow back. This is why we guarantee a 100% success rate for all of our removals. Depending on the location of the Japanese Knotweed, the site it is located on and any time constraints, will depend on which treatment is used. If you have an issue with Japanese Knotweed in Merton, contact us now on 0800 1337 444. We will be happy to arrange for our PCA qualified surveyor to assess you site for Japanese Knotweed.